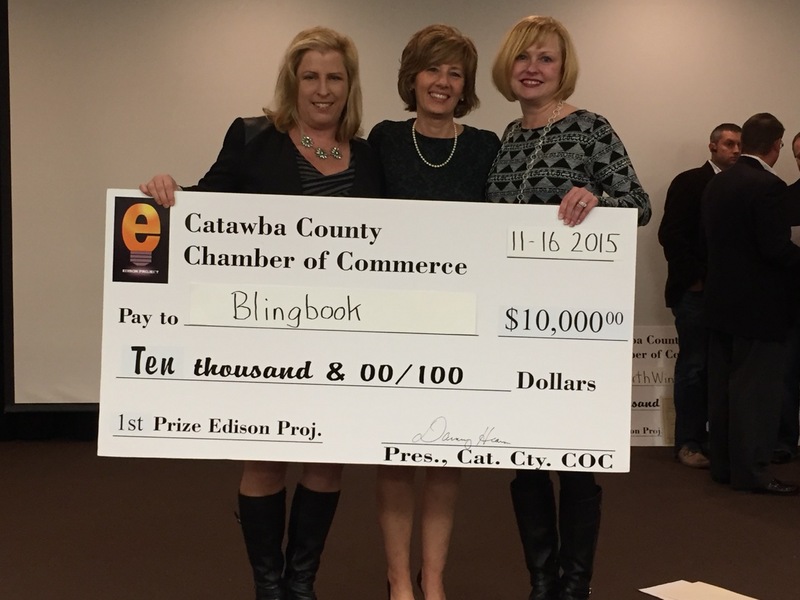 Congratulations to Bling Book (a former Designbox client) for taking FIRST PLACE in the Catawba County Edison Project!!! 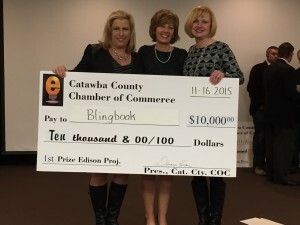 We are so honored to have been a part of the product design process for the Bling Book! What is The Edison Project? The Edison Project is sponsored by the Catawba County Chamber of Commerce and is a celebration and recognition of the creativity and entrepreneurial spirit that have of the Catawba County area. We are looking for entrepreneurs who have an idea for an innovative viable business in the Hickory Metro area they would like to submit for consideration and review by a panel of judges. You will compete with other start-up entrepreneurs for an economic incentive of $18,000 in cash: ($10,000 1st place; $5,000 2nd place and $3,000 3rd place) plus other pro-bono benefits for the best new entrepreneurial business ideas in the Metro area for 2015.